Saturday, October 07, 2017 by: Isabelle Z. (Natural News) The benefits of the legalization of marijuana extend beyond the cannabis industry and the lives of the people who use it. A new study shows that in states where marijuana has been legalized, fast food sales are on the rise. It’s no secret that cannabis can increase its users’ appetites, which is why it’s not unusual to hear people talking about getting “the munchies” while under its influence. This is apparently leading many people to their local fast food joint for a quick fix, if a new study from Consumer Research Around Cannabis and the Green Market Report is anything to go by. In an online survey of more than 27,500 people, 43 percent of legal marijuana users confessed to eating at McDonald’s some time during the past four weeks, while 18 percent had dined at Taco Bell and 17.8 percent ate at Wendy’s. Rounding out the top five were Burger King and Subway with 17.6 percent and 8.7 percent, respectively. These percentages were significantly greater than they were among those who had not visited a dispensary. Carl’s Jr., Arby’s, Jack in the Box, and KFC also noted higher consumption from people using cannabis. 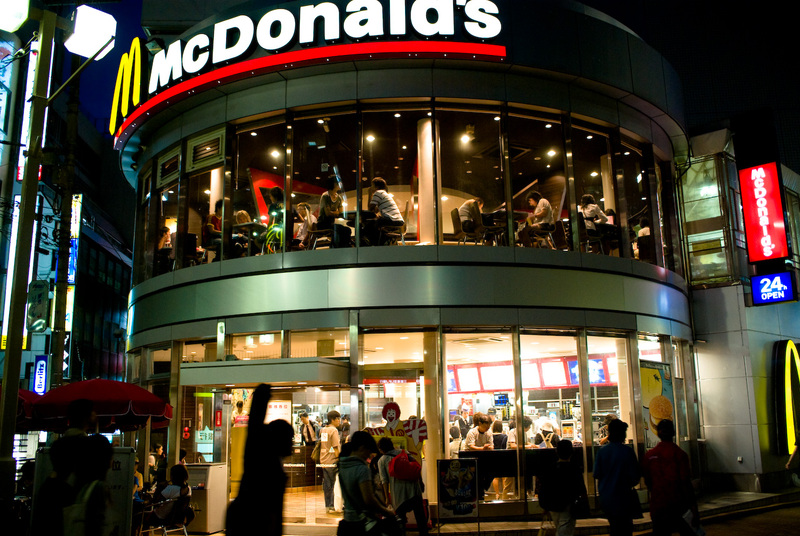 The Vice President of Consumer Research Around Cannabis, Jeff Stein, suspects McDonald’s dominance is down to its high number of locations, and he feels that competitors who have a stronger grasp on the consumer habits of cannabis users could well close the gap with savvy marketing. Although McDonald’s might take the prize in terms of number of visits, when the survey looked at how much more likely pot smokers were to head to fast food restaurants than the average consumer, they discovered that stoners were 43 percent more likely to head for Taco Bell and just 10 percent more likely to go to McDonald’s. It’s also reasonable to imagine that it has given pizza deliveries a boost. In Colorado, Peyton Manning attributed the success of 21 Papa John’s pizza outlets that he purchased in Denver to the legalization of marijuana. Soda makers are also reaping the benefits as many people are turning to soft drinks to alleviate that dry mouth caused by the reduction in saliva flow brought about by smoking marijuana. When asked which soft drinks adults who purchase cannabis from legal outlets had consumed during the past week, Coca-Cola was the top response with 31.2 percent. Pepsi took 23.8 percent of the vote, while Dr. Pepper, Mountain Dew and Sprite rounded out the top five with 13.0, 12.1 and 11.1 percent, respectively. Coca-Cola has a deal with pot user favorite McDonald’s, which could be part of the reason it features at the top of this list. The good news is that cannabis doesn’t have to wreak havoc on a healthy lifestyle. Indeed, many people who use medical marijuana are health-conscious individuals who wouldn’t dream of putting fast food into their bodies no matter how high they get. If the point of using cannabis is healing, it makes little sense to eat toxin-laced food. That’s why responsible users who are concerned about their health make sure they keep healthy alternatives on hand for when the munchies strike. Organic fruits, vegetables, and raw nuts can all help satisfy cravings without putting your health at risk.